Better players: here's a club for you. 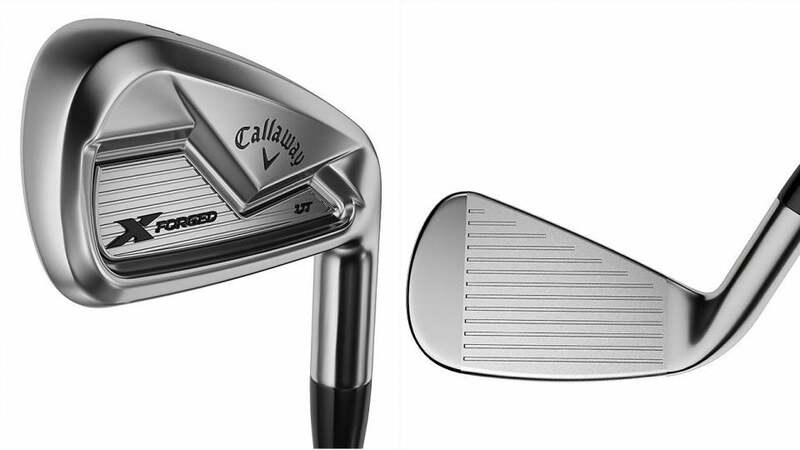 Aimed at skilled golfers who want another option off the tee, or for approach shots on par 5s, Callaway's new X Forged UT (utility) irons ($249.99 each) are designed for improved accuracy and control with added distance and a forged feel. Designed with significant feedback from Callaway's Tour Staff, the new sticks feature a CG positioned in line with the clubface center, promoting a more boring ball flight and less sidespin. In addition, a tungsten insert creates higher MOI and forgiveness on off-center hits, easier launch and better overall carry. Callaway's 360 Face Cup design combined with a hollow, forged design further increases ballspeed and distance across the entire clubface by pushing the COR to the legal limit. The X Forged UT irons will be available at retail on January 19 in 18°, 21°, 24°, 27° and 30° lofts. Project X 6.0 steel shafts come standard.